Anyone wanting to bulk up for football should not simply run to the nearest fast food joint and order 50 sides of fries. Gaining weight for football should be a gradual task, with calories incrementally increased over several weeks. It is also imperative that food choices include those that will help build a lean, healthy mass and not just fat. Lean proteins are a key component for gaining weight for football. Good choices, especially for an easy lunchtime sandwich, include tuna fish, peanut butter, low-fat turkey slices and lean hamburger. Nuts, eggs and protein bars and shakes are other options. Whole grain and whole wheat bread, whole grain pastas and spaghetti are a grand source of this essential element. Breakfast items are a good time to get some whole grains, with whole grain waffles, pancakes, cereals and oatmeal. Some granola or energy bars may also contain whole grain; check the label for such snacks. Healthy fats, like the type found in olive oil, nuts and low fat milk are also essential for the weight gaining process. Even low-fat chocolate milk is a good option, as is low-fat yogurts, cheese and cottage cheese. One more essential part of any diet is fruit and vegetables. Make sure to include at least four servings per day, with frozen mixed veggies with dinner and an apple, banana or strawberries as a quick snack. 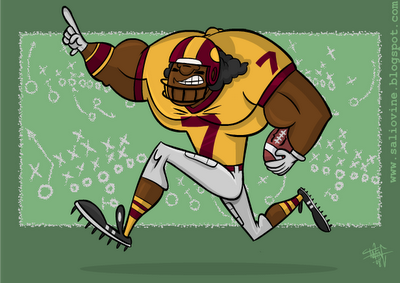 Eating tons of weight-gaining food is not the only answer for bulking up for football. A hefty diet should be coupled with a hefty weight training regimen. Weight lifting and other regular exercises are essential to ensure all those extra calories turn into bustling muscle and not a ton of flabby fat. Be very careful on the types of calories chosen. Those in the categories above will help build lean, powerful muscle. Gargantuan junk food or fast food feasts will just get you fat. Another important thing to remember is to eat breakfast and drink lots of water. Breakfast starts off the day and the body's metabolism with at least eight cups of water per day keeps it going.